Tough, well made cover that will protect my IPad 4 from drops & knocks. 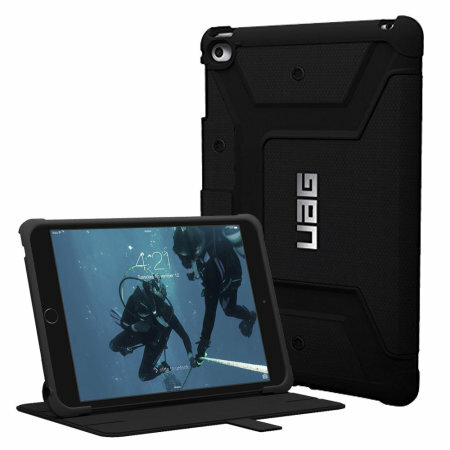 We are most pleased with our UAG iPad case . We feel safe that our beloved iPad will come to no harm while on our holiday in Canada. So implessed that when we get home we'll order another one for our home iPad too! Absolute perfection. Great product, great price, great looks. Fits perfectly, has all necessary cut-outs, works fairly well as a stand (landscape only, one angle only), implements magnetic startup and shutdown, looks classy, appears to give good protection. Has magnetic tab to hold front cover shut. Looks as though it will be durable.